Give the ultimate gift this holiday season: a new car! 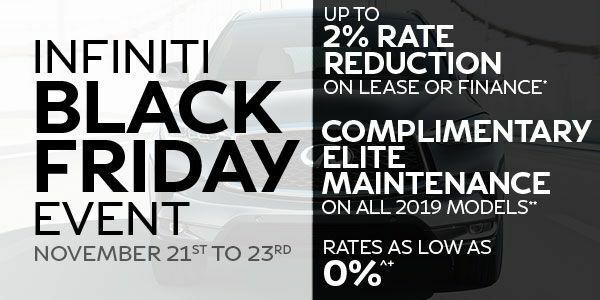 With Black Friday just around the corner, Guelph Infiniti is excited to announce our Black Friday Sales Event. From November 21st to November 23rd, we’re offering up to 2% Rate Reduction on lease or finance vehicles, with rates as low as 0%! Plus, Complimentary Elite Maintenance on all 2019 models! We invite you to visit our showroom at: 943 Woodlawn Rd W, Guelph, ON N1K 1C9, to take advantage of these amazing Black Friday deals! Alternatively, please take a look at our new 2019 models online to see the incentives we’re offering on different vehicles. 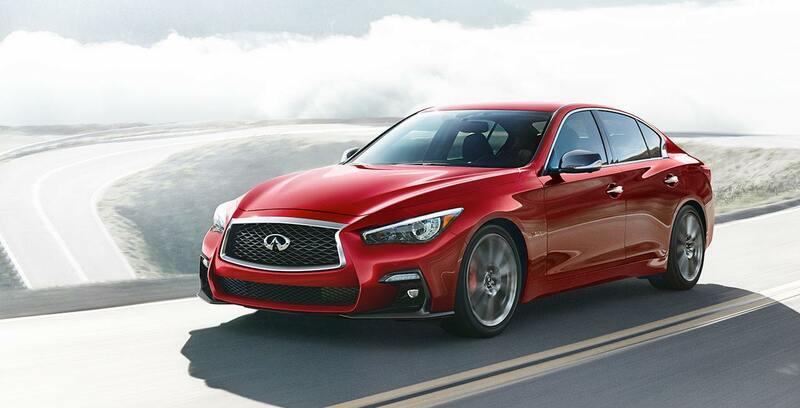 Don’t miss out on this opportunity to get behind the wheel of a new Infiniti with incredible savings. See you soon!